Organically grown seeds. 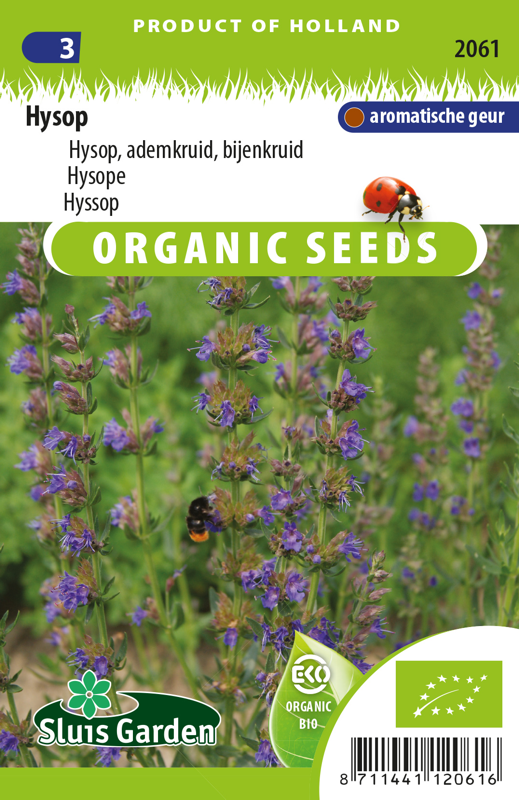 Hyssop is one of the oldest herbs, and in the past it was used to cleanse holy buildings. Hyssop tea is used for respiratory conditions and stomach cramp. You pick the leaves and young, white foothills. As a culinary herb it goes well in salads, soups and sauces. Very aromatic plant and good for attracting bees and butterflies. The oil from the green leaves is an ingredient in perfume and liqueurs (Chartreuse). 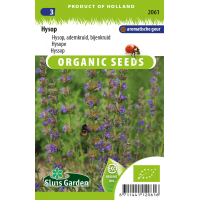 Hyssop also keeps slugs away.